What are Russian troops doing in Syrian Kurdistan? A Russian military plane at the Hmeimim air base in Syria, Dec. 16, 2015. After reports of the arrival in the Syrian city of Al-Qamishli of a plane carrying Russian servicemen, who supposedly intend to set up a military base in the area, the Gazeta.ru newspaper spoke with a local journalist about the situation in Syrian Kurdistan and the presence there of foreign soldiers. Alan Hasan is the editor-in-chief of Nu Dem (The New Times), the first independent newspaper published in Syrian Kurdistan. Who is now in power in Al-Qamishli? Alan Hasan: Some territories are controlled by the Syrian government, others are controlled by the local Kurdish and Assyrian autonomous government. Have you heard of the recent arrival in Al-Qamishli of a plane with Russian servicemen? A.H.: According to published information, as well as to our sources who are close to the Al-Qamishli airport, yes, this is true. Russian servicemen have indeed arrived and are preparing the airport for their airplanes or, possibly, for the creation of their military base. How much control does the Syrian army have over the large territories of Syrian Kurdistan? A.H.: There are three big areas that are under control of the Kurdish Democratic Autonomous Government. They are Al-Jazeera (the Al-Hasakah Governorate), Kobani and Afrin (the Aleppo Governorate). The Syrian government forces are partially located in Al-Jazeera; their military is present in the Al-Qamishli airport, in other parts of the city and there are neighborhoods that are controlled by the Asayish Kurdish security forces that are loyal to the government. The Kurds are an ethnic group of around 30 million, living in parts of south-eastern Turkey, northern Syria and Iraq and western Iran. Divided by borders, the Kurds have found their striving for independence frustrated since the emergence of Kurdish nationalism in the 20th century, with regional governments actively suppressing their pursuit of autonomy. The U.S. invasion of Iraq and removal of dictator Saddam Hussein resulted in the Iraqi Kurds achieving de facto autonomy. The U.S. and the EU, NATO allies of Turkey, see the Kurdish militant wing in Turkey, the PKK, as a terrorist organization, while the UN, Russia, China and some other nations refuse to classify it as such. Some observers have speculated that the conflict in Syria could lead to the formation of a united Kurdish state. What is the relation of the Syrian Kurds to the regime of [President Bashar al-] Assad and his army in Al-Qamishli? A.H.: The Kurdish population in Syria is divided between supporters of Abdullah Öcalan (the founder of the Kurdish Workers' Party) and supporters of Massoud Barzani, President of Iraqi Kurdistan. They oppose the Syrian regime, but do not have any problems co-existing with it, if Assad does not interfere with Kurdistan's affairs. Kurds are not fighting in the Syrian Army. 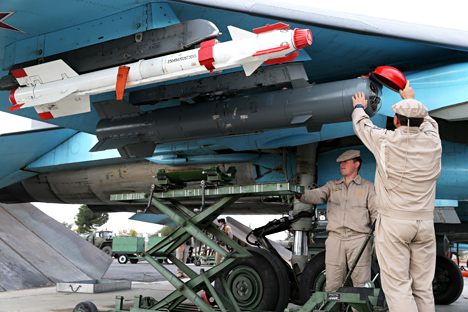 Are Russia and the U.S. building military bases in Syria? They also have no reason to fight the regime. However, they do have some problems – on national grounds – with the Asayish Kurdish special forces. This does not, however, prevent some Kurds from being loyal to the government and fighting with Syrian epaulettes. The Kurdish militia is fighting alongside the Syrian Army in areas such as Hasahka, which was recently attacked by ISIS, as well as near Rabia on the Iraqi border. However, most of the battles in which the Kurds are clashing with ISIS are taking place without the coordination of the Syrian Army. In some clashes the Kurdish People's Protection Units provide logistical support for the Syrian Army. Is the Turkish border near Al-Qamishli open now? A.H.: The Turkish border is open in the town of Derbassiye. However, for those who cross the border from Turkey, crossing is difficult because Turkey refuses to recognize the Kurdish Democratic Autonomous Government. Is it true that American servicemen have also landed in Syrian Kurdistan? A.H.: Concerning the American base that people are saying is being built in Rmelan, there is still no official statement supporting that claim. However, there is a lot of information saying it is true and there are many witnesses who have seen Americans preparing military airports there. How do the Kurds feel about Russia participating in the operation against ISIS and the presence of Russian servicemen in Al-Qamishli? A.H.: Most of the Kurdish population believes that an alliance with Russia is in their interests because the military base, if it is built, will help guarantee security for various Kurdish areas. They clearly see that the U.S. will not pay attention to the Kurds during the talks on Syria in Geneva, unlike Russia, which will provide strong support for them in the conference. The Kurds are afraid that the close relations between the U.S. and Turkey will influence the U.S.-Turkish military alliance.